Anaconda Mining (TSX:ANX & OTC: ANXGF) put out two news releases last week, outlining record gold production and more drill results from the Goldboro Project. Dustin Angelo, Anaconda’s President and CEO joined me for a general overview of the production numbers and ongoing exploration. There are some important details that the Company has learned about the resource in the Goldboro Project that Dustin outlines. Please send me any questions you have regarding the exploration or production of the Company – Fleck@kereport.com. Click here to visit the Anaconda Mining website. Good to hear an updated from Anaconda Mining. They’re one of the few companies still flying under the radar that have continually hit their milestones and guidance in 2017 and 2018, and it’s sad to say, but that is a rarity in the mining sector. The biggest concern the marketplace seems to have is their future pipeline of projects to feed the mill, but Goldboro has the ability to really deliver if they keep doing such solid exploration work. Good luck to 2019 for the ANX team. Cheers! I’d still like to see them make a move at taking over Resource Capital Gold corp for pennies on the dollar while they’ve imploded over the last few years, or Torq Resources, and then of course they can always double-back to Maritime and make another offer, once their current shareholders get sick of the MAE Dilution Machine. Good thoughts DT. Anaconda has some good resources they’re still working on near their mill with Pine Cove, Stog’er Tight and Argyle that they are still expanding, and Goldboro is going to be a great deposit to mine for them with plenty of room for expansion. In addition they have other exploration projects at Great Northern with both Jackson’s Arm and Viking, and they have their Tilt Cove Project as another kicker. Still, it would make sense for them to keep an eye towards accretive acquisitions to stack the deck, before Atlantic Gold gets to some of them, or another Mid-tier tries to expand into their jurisdiction and scoops up the low hanging fruit while few are paying attention. 2019 should be a nice year for a re-rating for ANX and I wish them all the success they deserve after delivering in press release after press release. I believe Anaconda could monetize those Newfoundland properties and pick them up on the cheap from Torq. Again, I’d rather see them take out RCG Resource Capital Gold corp, or make another go at MAE Maritime Resources first. Ahh.. I see what you mean. They divested their interest in them…. Either they believe it would be too costly to explore, or they simply believe they’d rather try acquiring another project instead. It may mean those properties, or other orphaned projects may be even cheaper to pick up now. Regardless, I respect Dustin and team at ANX to bolt on an accretive acquisition when the time is right and once they’ve done proper due diligence. Until then, looking forward to them to keep hitting on their current exploration programs. Well done piece by Bob M. as per usual. (WHN) Westhaven Resources did not impress the markets today with their drill results and they are getting kicked hard in the pants for it. The markets are not very forgiving and the expectations from rabid speculators in some of this hot drill plays are in the stratosphere, so anything less than that disappoints the market. Just imagine that you had $40K in one of these speculative dril-lplays, and in 1 morning on news of drill results that were good but not interstellar, the value drops to $30K in a blink of the eye. These resource markets are not for the faint of heart. (PGM) Pure Gold broke out to new highs today though, and (RNX) RNC Minerals was up around 25% on the day, so it is a 2-way street for investors willing to speculate in the Jr Miners. William T. Bogard (President) The Darco Group located in Newport Beach CA, joins (MXSG) Mexus Gold US to explore steps to start production on the mining assets. Yes, I caught that move in MXSG from early on at $.0035 all the way up to $.20 for the largest percentage increase I’ve ever experienced on a stock in that short span of time. I sold a bunch on the way up, and kept a remaining core position in place that was at a zero cost basis. There is no doubt it crashed back down when they ran into issues getting into production with their JV partner at the time MarMar over the last 2 years. However, they fired MarMar last year, which was the right thing to do, brought in more experts to assess their projects, and developed a new approach at the end of last year. Fast forward 2 years later, and now they are building a new team, doing exploration definition drilling work again, and have most of the infrastructure in place to be able to move back into production with a more competent operator. MXSG is very undervalued here, has very little debt, and ounces in the ground with Merrill Crowe processors and leach pads on the surface. This one could really surprise to the upside again this year, and I’m considering adding to my remaining position at these levels. “Gold’s uptrend so far in 2019 has been more than seasonal, and the same macroeconomic forces that have been driving it up could push the yellow metal higher still, said Peter Hug, global trading director of Kitco Metals. 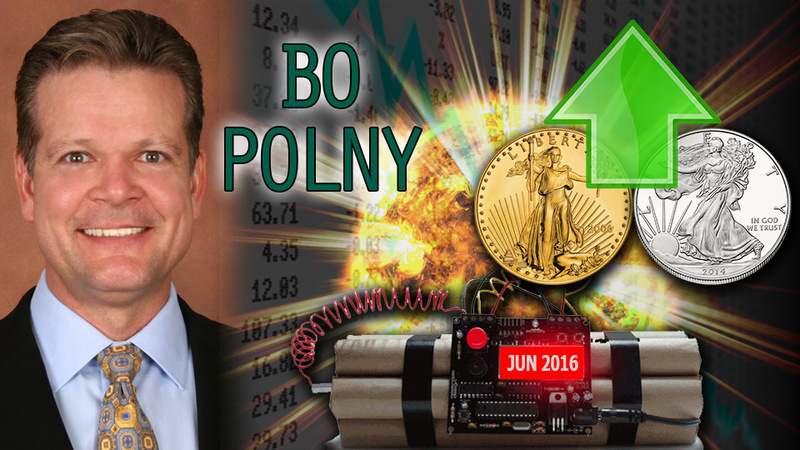 “Gold is a commodity, so you see these cycles that run in the commodity business. They go to highs, they go to lows, and everybody gets scared of the lows, and they get euphoric at the highs. We’re definitely at a low, and that’s where we came up with that call, and so far, we’re up $75-$80, we’re right,” Tucker told Kitco News on the sidelines of the Vancouver Resource Investment Conference. Jeff Currie at Goldman Sachs says $1,425 this year. My guess is $1,450 to $1,475. aggressive for the rocket shot has projecting up to $1993.70. His initial target before a pullback is $1447.20, so that seems reasonable in 2019. Pipe Dream Polny……….Bo and Zo……. That chart of his that I linked shows $1,993.70 by June. 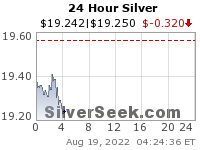 Wow, I didn’t catch that the $1993.70 was by June. 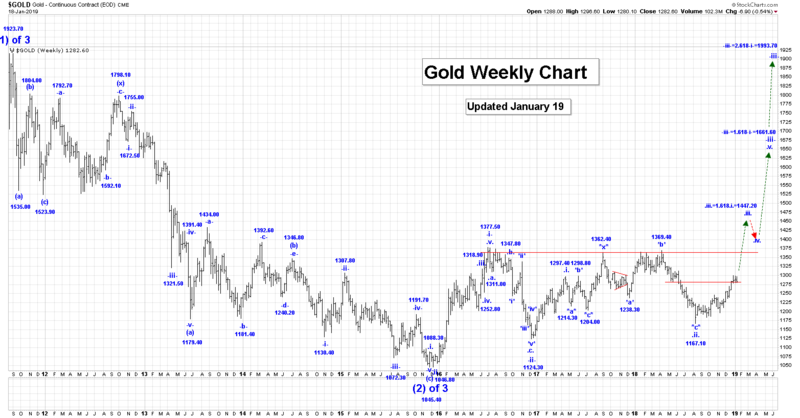 Gold would need to fly at an absurd pace to make that happen…. That would really surprise most investors. There is simply no reason why gold will go up…….if, the queen owns more land than anyone in the world, ….then she owns more gold than anyone….and she sure does not need any more fiat money………the fiat system is alive and not going any where…….at least not for a very LLLLLLLLLLLLLLLLong time…………. This is my WAG…………wild a.. guess…..
That’s a good WAG OOTB. 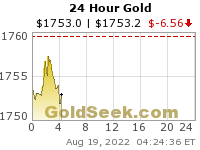 I could see gold making it up to the $1447.20 that CaptainEwave presented if Gold can take out the 2016 high of $1377.50. At that point more money on the sidelines would position, shorts would capitulate, and move into the mid $1400’s is reasonable. Nothing very dramatic has to happen for that to happen, and nobody was suggesting an imminent end to the fiat system anytime soon, although, all fiat systems do come to an end. All that we need to see is a bit more reality settle in with regards to the current Currency Wars, more Trade Wars, and a bit more Volatility in the general stock markets for Gold to move to a higher valuation relative to wobbling asset classes and other currencies. If the Dollar weakens into the high 80’s or lower, then that would only underpin the reason for some investors to move some of their assets into PMs for safe keeping. I’d settle for $1499 gold by Halloween. Rob McEwen still says gold is going to 5K, and he is as smart as any of us. Rob could easily be right but I am sure he’s not talking about 5k this year. So this whole thread was posted by another contributor from Twitter. It shows how once investor went from rags to riches in cryptos, got over extended, and didn’t believe the crypto-crash was coming. It is a very interesting read and a good learning lesson, and is worth the quick read as there are many ideas/emotions shared that many investors encounter on their journey when a trade pays off and then turns sour. Kiss the ring…….just thought this was interesting…..
this is a true…….Anaconda ………. following the Company’s October bankruptcy, after it was revealed in a Friday filing that Chairman Eddie Lampert’s $5.2 billion rescue package does not include pension plans. SILJ:SLV new 2.5 year low on the daily chart. Frustrating doesn’t begin to describe this sector. SILJ:GDX is a day or two away from making a new 2.5 year low. SLV:GLD has a big gap below the 50 day MA. Maybe SILJ:GDX is telling us it will get filled. Either way, the sector is far from falling apart here. Silver juniors are the most speculative part of the sector so they provide equally impressive downside leverage during a pullback/correction. Yeah, I understand that. The question is what does lower lows and lower highs vs the metal and just about everything else on earth tell us about the health of the sector overall? One would think that after a major/historic low, the most speculative sector should start to make higher lows and higher highs vs everything else. I just think there’s a huge amount of bearishness even among those who want to be bullish so everything probably hinges on how the sector behaves following this short term correction. We need breakouts that everyone can believe in! Until then, any strength will probably get sold by a lot of people. the low in the 5 week RSI reached in SILJ:GDX a few weeks ago was obscene. A lower low here in the ratio would be a kick in gnads for anyone daring to hold. It’s taking a long time but a very important long term low is in the works so I’m impervious to the kick you described. Everyone has to do what’s right for themselves. Learning to use options to hedge is a good idea. Despite rising more than 6-fold versus silver since 2009, palladium is still down more than 60% versus silver since 2001. That just reinforces how important timing is. What does your chart say six months from now? Palladium is very overbought (even monthly) versus silver or the dollar (and at an all-time high versus the dollar) while silver is near a multi-year low, so, combine that with my outlook for the gold-silver space and it seems very likely that silver will significantly outperform palladium in the next six months. It could also mean palladium has a lot further to go up (or silver to go down) to reach breakeven. Yes it could, for awhile, but I doubt very much that it last for six months. As I mentioned recently, palladium could still add another quick $100 or so. Moves like this one don’t usually quit in a way that many people can predict.